Sad sad news today. 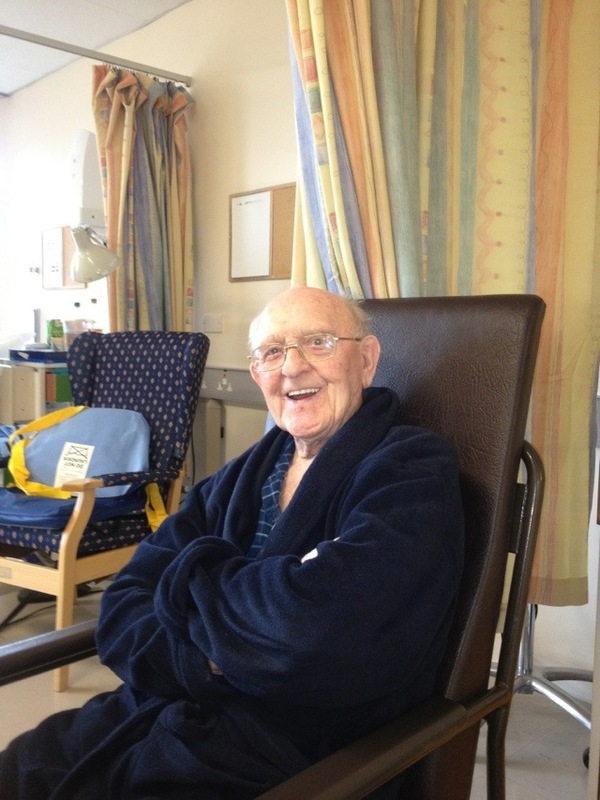 My Dad had a heart attack and after a short time in hospital died around 11.30 UK time on Monday 23rd of April aged 93. RIP.. By the magic of satellite phone I managed a few words with him around 1000. I will miss him and remember him as he was. The attached photo captures a lot of the essence of him. Dad. You will be sadly missed. It is quicker to get back from the moon, than from where I am now, so I shall miss his funeral. Thanks to Sarah and the kids for representing me and thanks to the rest of the family for organising things. Dad wanted me to do this trip and enjoyed hearing what it was like when I phoned him from the satellite phone. He had a long and happy life and died relatively peacefully. We will all miss him. « Galapagos to Marquesas is a very long way! I am very sorry, my deepest sympathy. Thanks David. None of us are getting any younger. Hope you and yours are well. Looking forward to seeing you when I get back. A sad day indeed, deepest sympathy. Thanks Bill. None of us are getting any younger. Looking forward to seeing you when I get back. Did you do your Cuba trip yet? l’m getting envious reading about all the mahi mahi, so can’t wait to go now. Hope rest of your journey goes well.